The moment when tragedy strikes is a silent one I imagine. I, myself, have never personally lived through a catastrophic tragedy or any tragedy for that matter. I do not say this to brag, but say this to say that I don’t really understand what it feels like firsthand and do not, nor would I ever claim to know, the emotions involved. Lately, it seems as though our nation is seeing tragedy on an increasing level. Part of this is because of instant media. We instantly know everything that is going on everywhere and it plays over and over until the next big story comes. And part of this is because we have a lot of people living in the US these days and sadly, things are going to happen. Tragedy exists everyday. It is not only the large scale tragedy of national disasters, terrorist attacks, and mass shootings; it is also the everyday tragedies of losing loved ones to cancer, automobile accidents, heart disease, old age and any other number of instances of abuse, neglect, assault, job loss and homelessness. Tragedies are difficult to process. If we think about it too much, our heads can begin to spin and we don’t know which way is up. Tragedies can literally take our breath away and our fear can paralyze us. Tragedies also have the ability to bring to light the humanity and love of people. We hear stories of people laying their lives down, literally, for those in their care. We see first responders racing in instead of out. We see people in shock being comforted by total strangers. We see trucks and trucks of stuff being loaded and hauled. We see schools rallying around little children. We see people running in honor of others. And sadly, we can also see anger. Anger at the madness of it all. Anger and heartbreak of losing a child. Anger at one’s life being turned upside down. If one believes in the sovereignty of God, we have to believe that there is a plan…that God has a way and will make a way to make good come out of everything. 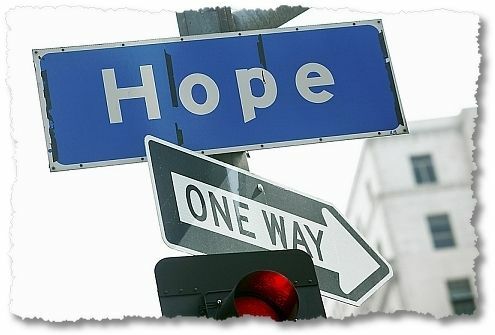 As believers, we also rely on our hope in eternity. We all have an end coming and not one of us knows what that end is going to look like and for most of us, we will leave someone behind in this lifetime. Someone is always going to have to pick up the pieces and try to move on until they themselves are taken to Glory or Jesus Christ himself returns. If one doesn’t believe, tragedy can often push them even further away from God. “If there was God, how can he let this happen?” or “If your God is so great, why doesn’t He stop this?” “Really, how can scripture or prayer help at a time like this?” These are things I have heard people say after tragedy. On the flip side, tragedy can also make someone’s final destiny that much more real. Miracles can and will happen in the midst of tragedy. Serve others and serve well in times of tragedy. Don’t try to be the all-knowing-fix-it-person. Instead, be an ear to listen and a shoulder to cry on. Be a person who opens their arms like Jesus. Earlier this week I spoke to a young woman, a friend’s granddaughter, who lives in Moore, Oklahoma. Even though she herself was suffering, she was serving those who were suffering more. That’s Jesus! I gave her a scripture at the time, Jeremiah 17:17, that says, “You alone are my hope in the day of disaster.” The Lord wanted to encourage her and let her know He was there with her. Through every life event…all of them, the joyous moments, the lonely moments, the tragic moments….all of them, He needs to be at the center of our Hope. He alone will give us strength to go on (Proverbs 18:10). I don’t have any of the answers as to why things happen. If someone claims to, I’d probably cross the street if I were you and go the other way. We can’t play God, be God or presume to be up in God’s business. God never gave us those burdens to bear. In fact, he tells us to give all of those burdens to Him (1 Peter 5:7). Ecclesiastes 3 tells us that everything has its time. How we handle each of those times depends on where our Hope lies. My pastor tweeted out this video of a song that our awesome choir sang back in October (click on the Hope photo above and it will take you to the link). Our worship team is off the charts and this was arranged by Bradley Knight in our worship ministry and led by Todd Bell. I think I’ve listened to it at least twenty times already today. I pray that the words that are sung are etched on your heart permanently. Jesus’ blood was poured out for you and on you. He overcame the grave and breathed again. And He will return for you and for me. I can’t promise that your life won’t have trials, tribulations or tragedy…in fact, it is likely you will. You’ll need these words to penetrate you when they do. Put them in your “rainy day reserve” now while the sun is shining. If it is raining in your life right now, may they help you see the Light.